What is the true source of three of the greatest water systems of North America, that of the Rainy River, Lake Superior drainage basin, and Mississippi River? Have underground aquifers and waterways in the Arrowhead been mapped such that we can understand the full scope of these resources? Legend has it that various tribes of the Ojibwe were pressed to defend their forests from an invasion of Sioux at one point. Since the buffalo had not returned to their territory as expected, the Sioux were in search of the sustenance in lands claimed by the Ojibwe, abundant and fruitful, forested wetlands of what is now known as Northern Minnesota. Since the Sioux were fierce and savvy warriors and could defeat the small tribes of Ojibwe individually throughout the land, leaders decided to unite. They met to decide their strategy on the “hill of three waters”… a unique quirk in geography, one mile north of present day Hibbing where water falling at this precise point can divide and flow in three directions, one to the Gulf of Mexico, one through the Great Lakes to the Atlantic Ocean, and the last to Hudson Bay. Chiefs of the Ojibwe traveled from Canada, Lake of the Woods, and Nett Lake following water routes in the Big Fork River and Shannon River to unite with other leaders at the “hill”. Leaders of those Ojibwe in the Big Sandy Lake area and Mille Lacs Lake took waters north on the Mississippi and Prairie Rivers to Day Lake and then up Day Brook to the “hill”. Chiefs from Wisconsin, Fond du Lac, and Lake Superior joined their brothers on the “hill of three waters” by taking the St Louis River and Penobscot Creek. Unified, they eventually defeated the Sioux and regained their territory. Along the Laurentian Divide where the “hill of three waters” is located, white settlers believed that the direction of flow was directly North and South. 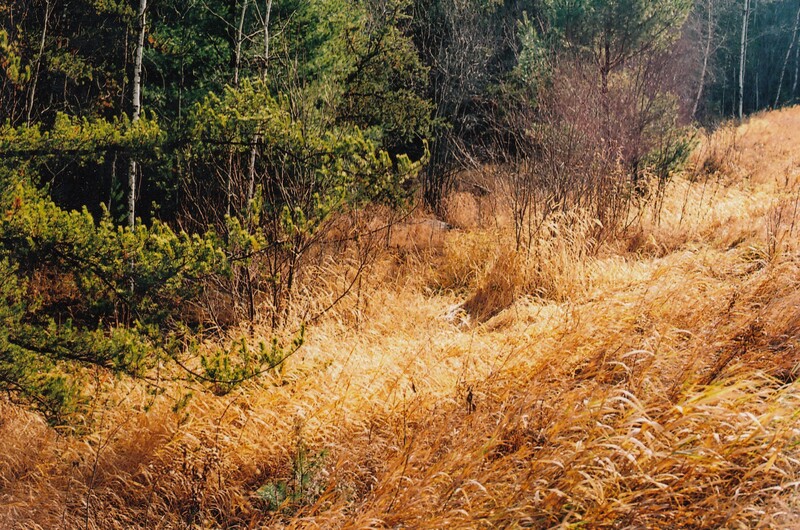 Native Americans knew long ago that this was not the case throughout the divide, and that water flowed to the river basins of Lake Superior, Rainy River as well as the Mississippi River, particularly at this point, where the Hull Rust Mine is located now. As a result of mining and pollution emerging in unexpected areas, we have learned that unusual geological formations exist in northeastern Minnesota that guarantee a complicated and diverse environment not easily understood. For instance, portions of the South Kawishiwi River Intrusion and of the Partridge River Intrusion can be found underground at the same Babbitt location in and around mining facilities. 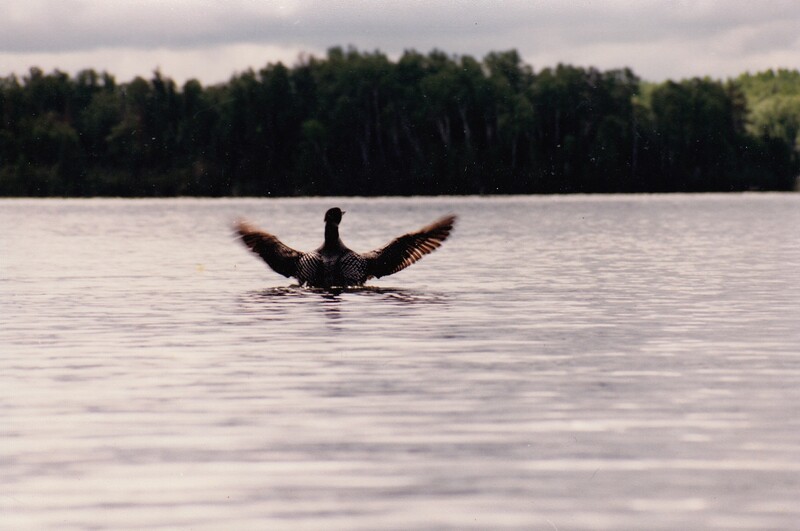 Therefore, underground water in parts of Babbitt flow not only into the Partridge River watershed but also into the Rainy River watershed, which shares water with BWCAW. This is complicated even further by overlying and sometimes interconnecting aquifers – surficial and buried, contained and uncontained within varying compositions. Contained aquifers can potentially discharge water a hundred miles more or less from the recharge area or site of pollution. Groundwater and surface water frequently diverge in this area, and so more knowledge is needed concerning Minnesota’s groundwater geology before we can truly begin to understand the consequences of our actions regarding mining of any kind. Wetlands abound in the “stoney”, along with thousands of flora and fauna, many rare and uncommon. There are orchard orioles, killdeer, snow geese, loons, woodcocks, purple finch, mink, great blue heron, broad-winged hawks, eagles, partridge, beaver, wolves, moose, bear, Canadian lynx, coyotes, blue bills, mallards, night hawks, snowy owls, white-throated sparrows, deer, blueberries, bearberry, rock ferns, caribou moss, and so many other species of plants and animals. What is the potential harm to these populations if the fragile balance of this ecosystem is destroyed, an ecosystem so interconnected with the health of its waters? Do we sell or do we protect? This is what this decision concerning Polymet Copper Mining comes down to, essentially. There are no real guarantees that Polymet will be around to pay for clean-up once the mine closes and the money runs out of state; and we will never be able to undo the damage of their intrusion into these hydrological treasure troves, a literal mother lode for our planet’s fresh water. Have we already done irreversible damage by allowing almost 2,000 bore holes for copper mining prospectors near the BWCAW? Groundwater in the area naturally seeps into holes drilled or pits dug in the area. As a consequence, while the mine is in operation, Polymet will continuously discharge water from mining pits and tailings basins to extract the ore. Colby Lake will serve as a source of supplementation and discharge, and widespread discharges will occur in the form of untreated, contaminated water along with altered (treated) water at both sites into the Partridge River, Embarrass River watersheds and the entire St Louis River watershed. These are the knowns. Since aquifers recharge normally on high ground and discharge in low lying areas, the affected aquifers and water bodies will essentially be mined, as rock is extracted in the Laurentian highlands, instead of recharging (as nature would allow). Loss of pressure, as a consequence, in confined aquifers (artesians) could have devastating and far-reaching consequences; and, of course, we cannot truly know how many wetlands will be lost due to drawdown of the water table and the cumulative effects of long term contamination above and below ground. Once the mine is closed, the threat to vital fresh water resources would continue, most likely into perpetuity and, therefore, maintenance at an estimated cost of at least $6,000,000 annually. The actual costs will, more than likely, be far greater. In a myopic view alone, what of inflation and the logistics of changing political will and financial realities? How long will water continue to seep into and from the bedrock of the Laurentian Divide contacting waste rock in the mine pits as well as contaminated water in the tailings basins? Do we even know how much water is involved? Can we know? Ongoing treatment, passive or aggressive, will never return these waters or this region to its original state. Observe ongoing pollution witnessed from mining in the area already. What financial or political assurances would suffice in a tragedy of the scale that sulfide mining would unleash? 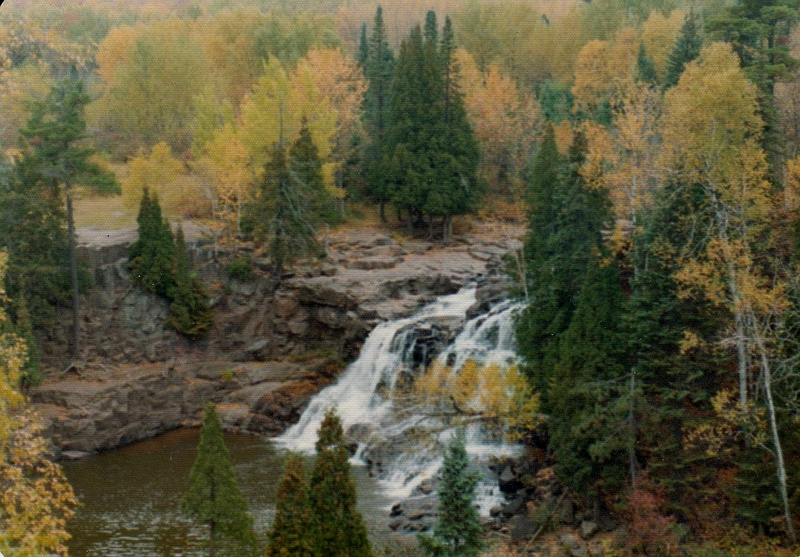 From limited hydrological information available to date concerning underground flowage for these vast bedrock formations in the Arrowhead, it seems that the calculations Polymet has made are insufficient to describe the scope of ecological damage possible in this unique environment, and therefore, the effect on freshwater reserves in the stoney of Lake Superior and Rainy River Basins at the very least. Consider the diversity and interconnectedness of the aquifers in St Louis, Lake and Cook counties, the unpredictability of discharge locations from confined aquifers, the potential of contamination by bore holes traversing aquifers. Due to these and so many unknown factors associated with this complex geological area, how is it possible to predict short term or long term consequences of mining this priceless water table for the extraction of any ore body? It is likely that water in the area’s confined aquifers could be thousands and possibly millions of years old, the implications of which cannot be ignored for any amount of money. We have waste on this earth that could be recycled without destroying our environment, our home. Have we come to a crossroads in our handling of this planet, an ecosystem that we so dearly need for our survival? Isn’t water more important than any profit we can make from mining? Once understood that we cannot mine our water resources without devastating results, perhaps we will favor sane and ecologically sound solutions to those challenges that engage us? We could speak of the beauty, the wild, the spirit of something greater than ourselves, the sustenance we all gain from these masterpieces. Such is the Arrowhead of Minnesota. What profit is there if not life itself? It is undeniable that people in the area need jobs … although, who of these long term residents came with the intent to mine this jewel? If given the opportunity to work in a sustainable activity, who would not choose to do so? What kind of opportunities could be created with a mindset that encourages positive long term results over short term gains and financial profiteering? Don’t we owe it to ourselves and life itself to make the effort? On November 01, 2018, our DNR announced through Tom Landwehr, commissioner, approval of ten crucial permits that Polymet, a Swiss-based conglomerate, needs to start a copper mine in Arrowhead of Minnesota at the extreme headwaters of the St Lawrence Seaway. This will open the door to an expanded footprint for the proposed NorthMet Project once begun, allowing for greater extraction of water resources from this water-dependent ecosystem, along with the taking of endangered species, Canada Lynx, Timber Wolf, birds and fowl, plant species etc that interfere with this project. The permits granted on November first: six water appropriation permits, two dam safety permits, a public waters work permit and last (but not least) an endangered species takings permit. The project still needs water permits and air quality permits from the Minnesota Pollution Control Agency and a wetlands permit from the Army Corps of Engineers. Since the project is now deemed less profitable as proposed, Polymet in all probability, will need to mine faster and expand the proposed footprint to make the money investors expect. This means that the proposed mine, with its assured potential of 500 + years of pollution, approved by the DNR, will dwarf the damage of the mega-mine actually needed to fullfill its promise and its bottom line. This will be in direct conflict to any environmentally sound promises. To quote DNR commissioner, Tom Landwehr, the NorthMet project “meets Minnesota’s regulatory standards for these permits.” Wth such confidence as a foundation, and since our citizens are the ones who will suffer the consequences of a poor decision, being the ones who will more than likely “foot the bill,” why would the DNR under Landwehr reject the Minnesota Center for Environmental Advocacy’s request for a contested case hearing, an independent judicial review, a chance to prove that this decision could stand such scrutiny? Why has it taken over 10 years to permit this mine? Why do the majority of Minnesotans reject this proposal? Funding clean water projects, and the like, without reducing point source pollution seems a poor way to protect our resources. Is it a radical idea that the health of our freshwater trumps the profits of an international corporation?